Supreme Heating, one of Australia’s most trusted pool heating companies, announces the launch of its new two-in-one solar solution, Heatseeker DualSun, at the upcoming SPASA Pool & Spa Expo + Outdoor Living held at the Melbourne Convention & Exhibition Centre on 2–4 February 2018. The European manufactured hybrid solar PV thermal panel has been cleverly designed to utilise the excess heat from the photovoltaic panels to provide electricity and thermal heating for homes and buildings. Essentially, the panel simultaneously produces photovoltaic electricity for the home and heated water for the pool. The electricity generated by the high efficiency monocrystalline cells can cover all the electricity needs of your swimming pool. 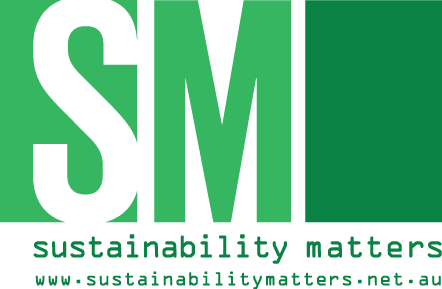 Any surplus electricity can be self-consumed in the home, or returned to the grid for a feed-in tariff or net-metering program. The patented ultra-thin heat exchanger is completely integrated into the panel. As the pool water flows through the heat exchanger, the water is heated whilst simultaneously cooling the panel. This results in a highly efficient transfer of heat between the photovoltaic surface and the water circulation on the underside. Traditional photovoltaic panels generate much more heat than electricity. The cooling effect on the DualSun panel allows the photovoltaic electrical generation to be maintained, and increases peak performance by up to 20%. A DualSun installation generating heated water and solar electricity produces up to four times more energy than a standard PV installation. “We are very excited to bring the evolution of solar power to the swimming pool & spa industry here in Australia,” says Peter Alderton of Supreme Heating. “The panels are designed for swimming pools and pre-heating hot water applications, which optimises production,” Alderton explains. 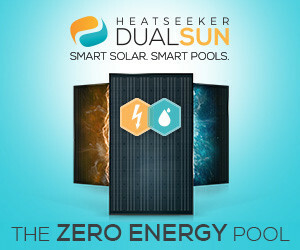 Heatseeker DualSun provides a powerful solution for the swimming pool and spa industry, and more importantly for pool owners. The simultaneous generation of electricity and heated water allows the ongoing energy consumption of a pool to be neutralised, and avoid any government legislation that could negatively impact the industry. Visit Supreme Heating on stand J3 at the upcoming SPASA Pool & Spa Expo + Outdoor Living on 2–4 February 2018 to find out how to convert your investment into the zero energy pool, freeing yourself from the electricity companies by creating your own clean, reliable and 100% renewable energy. As the needs and lifestyle of consumers change, so do the demands for pool heating.